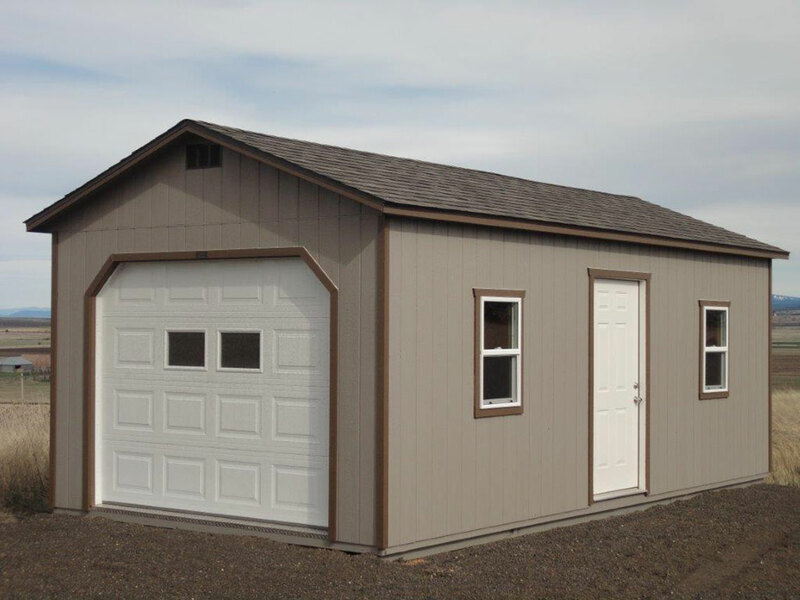 Quality, Pre-Fabricated Buildings for the Inland Northwest * Storage Sheds, Garden Sheds, Barns, Garages, Mini Cabins, Animal Shelters, Chicken Coops * Free delivery within 20 miles of our Lot Locations. Purchase or RENT TO OWN. 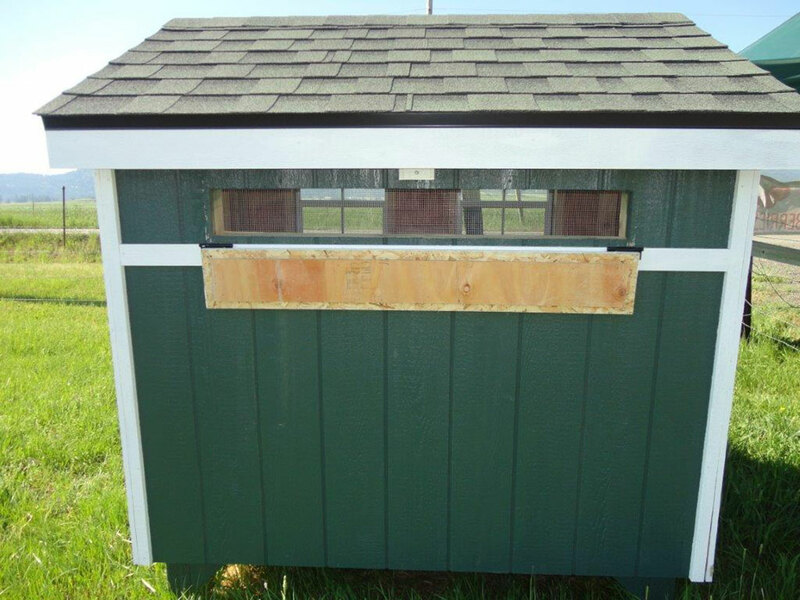 Secure Investment with locking 46″ door. 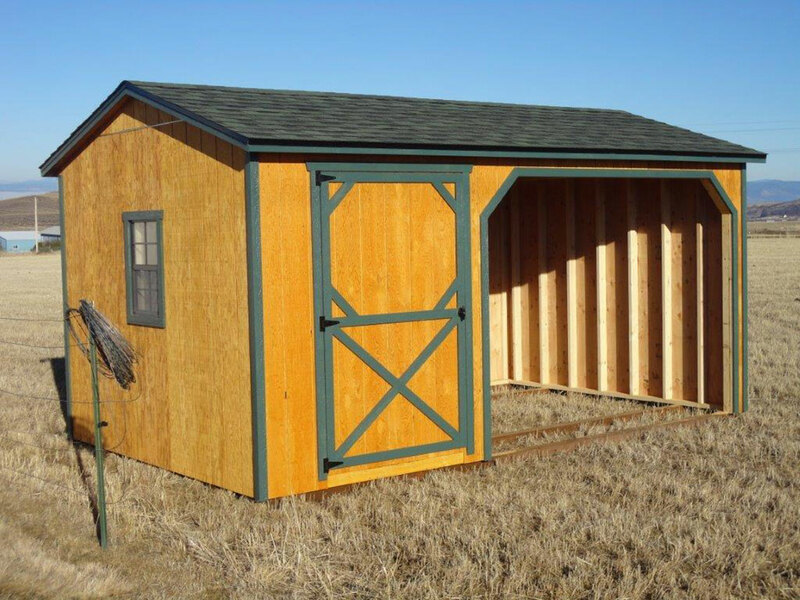 Sturdy walls with 2′ x 4′ studs 16″ o.c. 50 year premium Duratemps siding with LP Smart Trim. Strong floors with 4′ x 4′ p.t. skids. 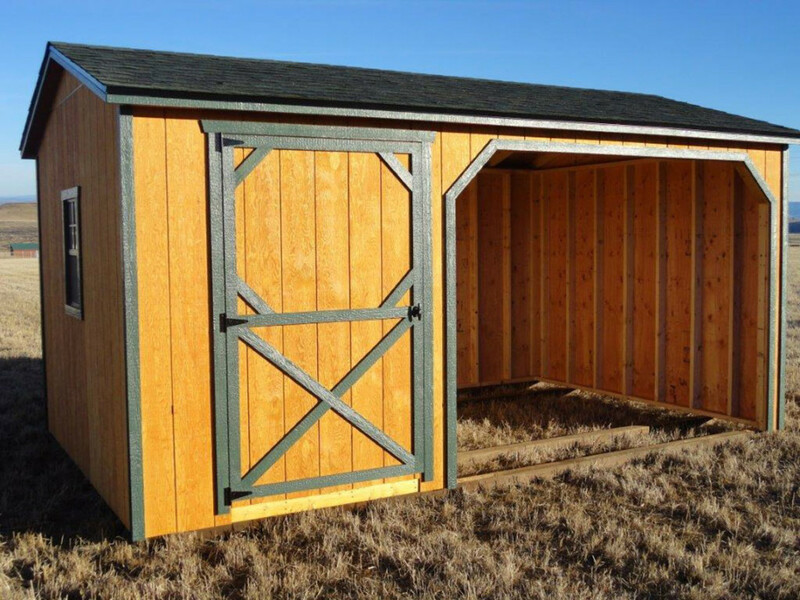 Floor joist @ 16″ o.c. with 3/4″ sanded plywood flooring in closed area. Open area as run in or park in. 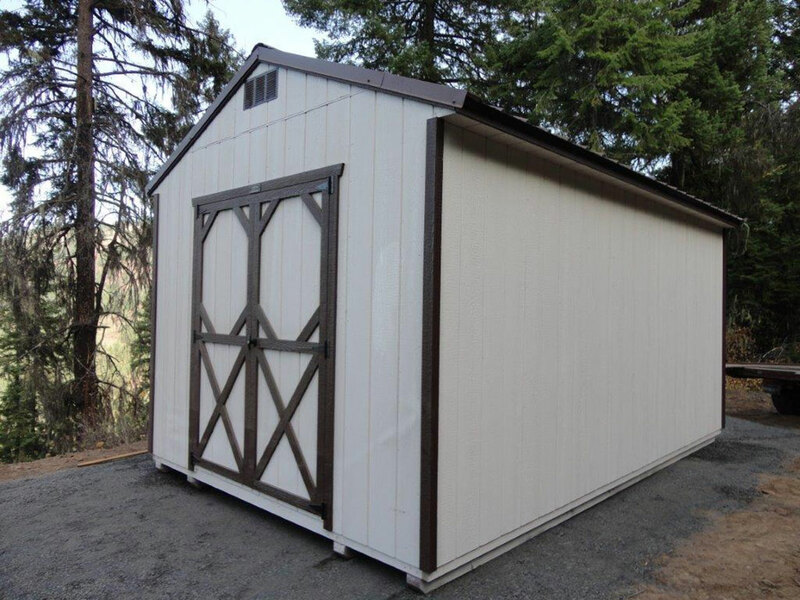 Clearwater Barns offers two convenient lot locations with examples of a variety of our buildings. Don't take our word for it. 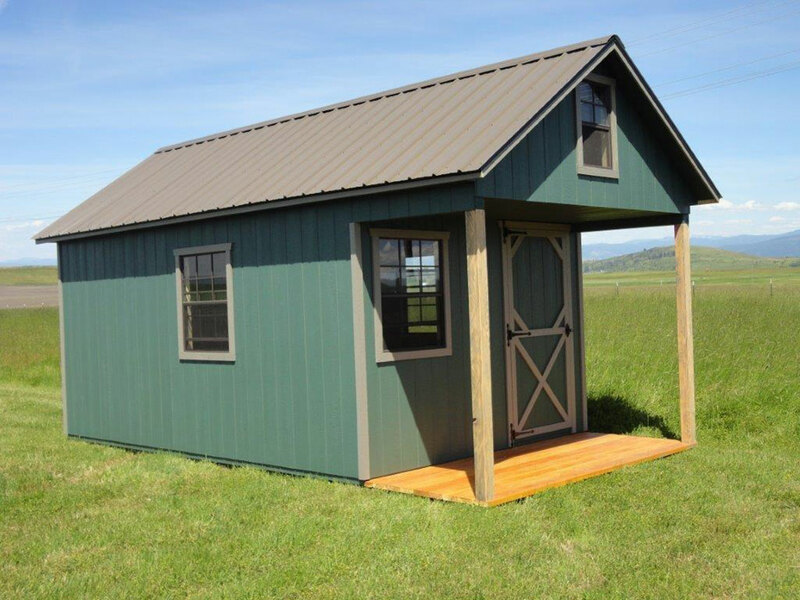 Stop and see for yourself, the quality craftsmanship that goes into every building we fabricate. CLICK FOR LOCATION DETAILS & MAPS. 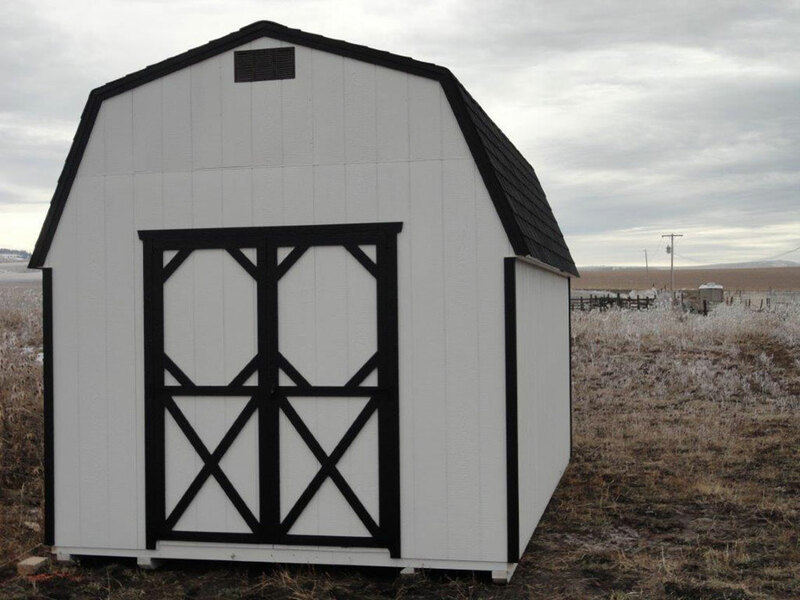 Please select below the specific style of building that fits your personal needs, and click to see the detail and options available for each. 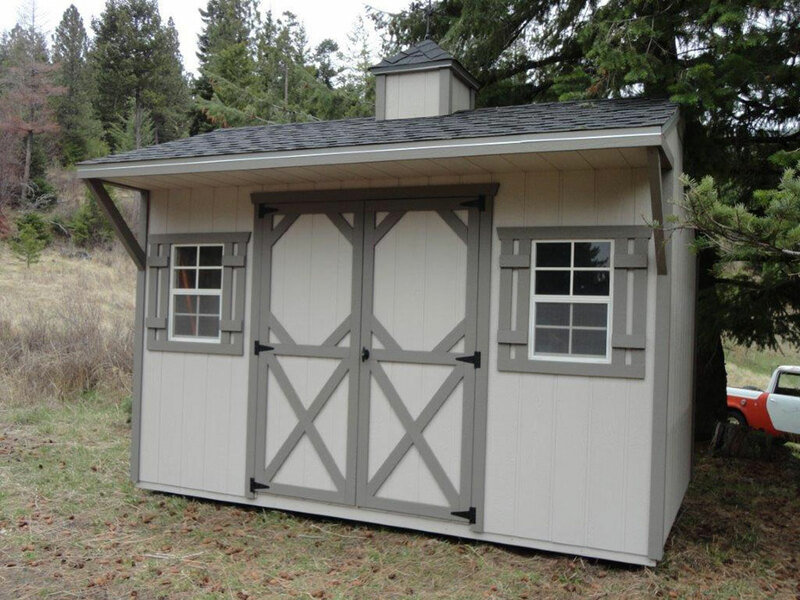 We're sorry, Rent to Own is not available for Animal Shelters or Cabins. 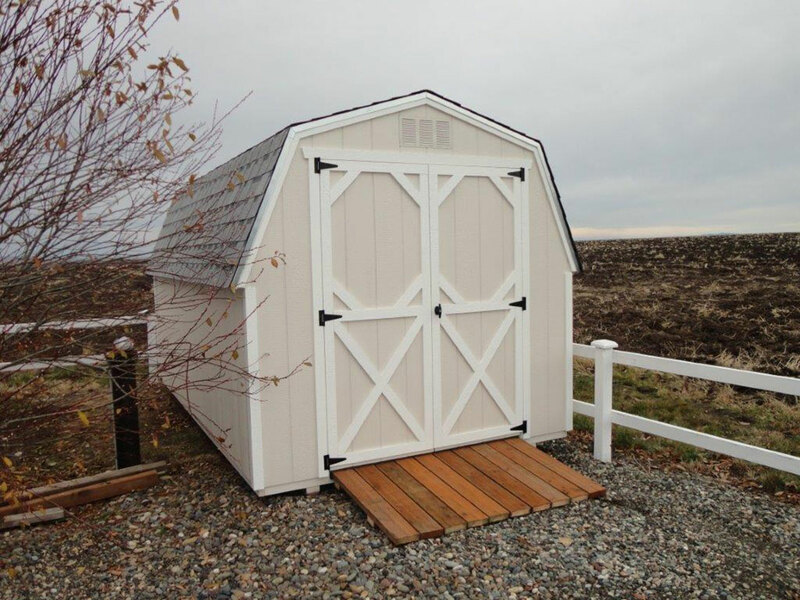 Our storage sheds and barns are built-to-order and can be customized with a wide variety of options. 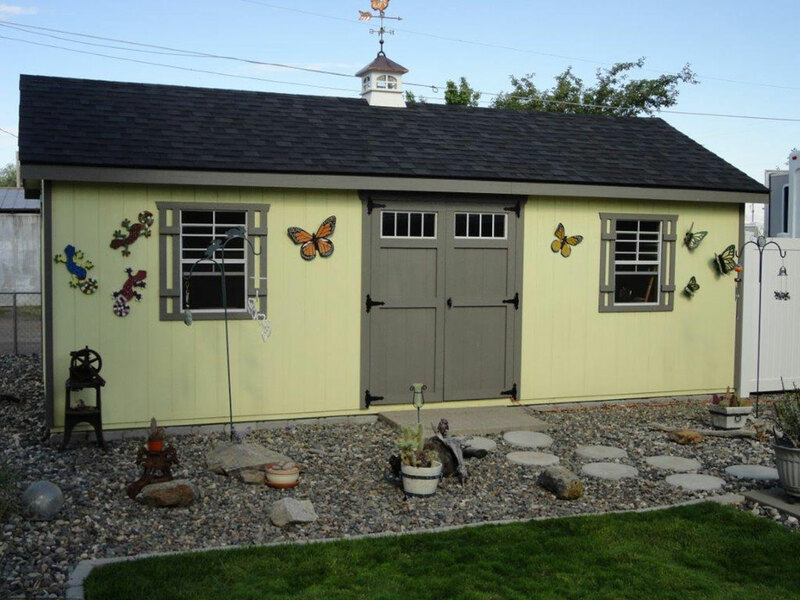 Choose from a variety of paint and trim colors, roof colors and optional accessories, if desired, to fit your personal needs and style. PURCHASE OR RENT TO OWN for AS LOW AS $69 per mo. 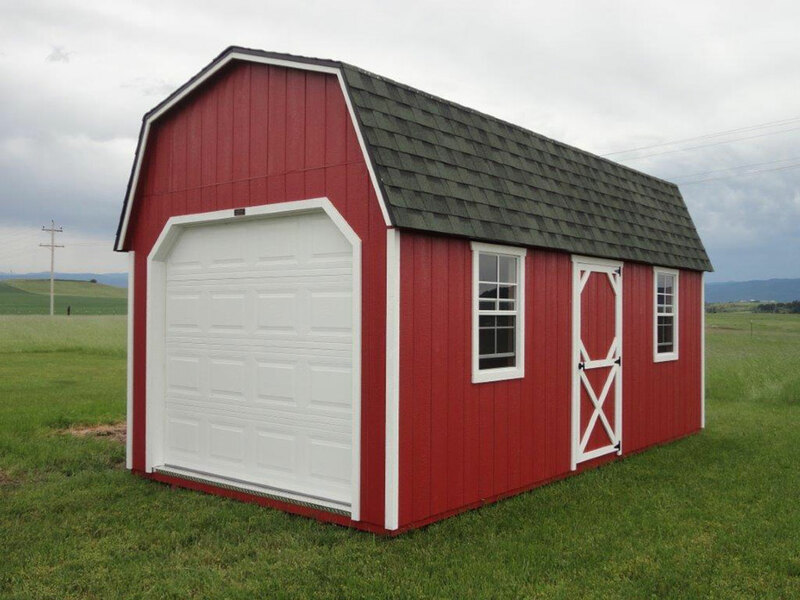 Select the specific style of building that fits your personal needs, and click to see the detail and options available for each. 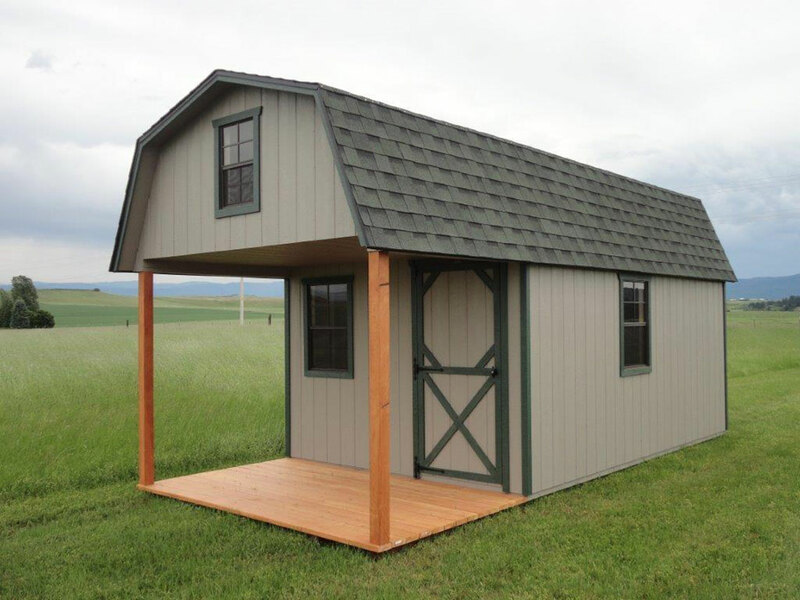 We're sorry, Rent to Own is not available for Animal Shelters or Cabins. FREE DELIVERY within 20 miles from our Lot Locations.